At Benjamin’s we realize that some leather goods you own are worthy continued use with some TLC, so we offer leather restoration as part of our full line of services. When that handbag or garment needs some loving care, we are prepared to make the item look new again. Leather restoration is done with that skilled touch at Benjamin’s in Pompano Beach. No job is too big or too small for our experts … we will give your leather wardrobe the face lift it needs for many more seasons of wear. 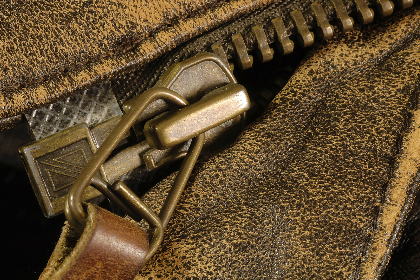 Whether it is a leather handbag repair or a zipper in your leather fashion, Benjamin’s can do the work for you. We will even fix the holes in your leather belt while you wait. That kind of service is a long forgotten benefit and one you will appreciate when you realize you need your belt for your scheduled trip! You live in a busy world and we want to serve your needs with rapid turn-around assistance. Leather restoration in Pompano Beach can be done at Benjamin’s where quality workmanship will guarantee your satisfaction. Worn handles on your leather purse will be expertly finished by Benjamin’s staff. Your favorite leather jacket need not be discarded because the zipper is broken. You no longer need to think of your classic leather wardrobe as disposable when you allow Benjamin’s to take on all your leather mending projects. Leather skirts, vests, blazers, belts, handbags and coats can be restored to an earlier beauty with some loving care from us! Leather restoration is truly an art accomplished on your behalf at Benjamin’s. Consider including your favorite worn leather items in your current wardrobe because our staff will give them a fresh look. You will be amazed at how wonderfully restored those leather items can be! Remember when you are looking for the best in leather restoration service, Benjamin’s is the place in Pompano Beach. Drop by our shop and let us make your leather world all new again! © 2013 Benjamin's Fine Alterations & Tailoring.All Rights Reserved.